Shiraaz Moollatjie, Technical Architect at CSG International, gives us some great insight into Data Visualisation, how essential it is in presenting data. If you interested in getting started in this field, read more and find out how! Data visualisation is sometimes seen as a complex task. In actual fact, it is straightforward to get started, and this post will describe how to do this using Google Sheets. Sometimes data visualisation is seen as complex because we tend to combine the technique of fetching data with the method of displaying data. In actual fact, these are entirely different techniques, and data retrieval does not need to be visualised. When you split the two methods, you find that visualisation is relatively simple to implement because of all the technologies that are available. One of these tools is Google Sheets. The advantage of Google Sheets is that it gives you many visualisations out of the box. So let’s begin with some simple data. For our dataset, we use the progression of 100m world records in athletics. Now we look at the kind of data that we’re dealing with. 100m records are typically times against a certain date and maybe the athlete associated with the time. For us, the goal is to display the progression, so either a line chart or a timeline is suited for this. 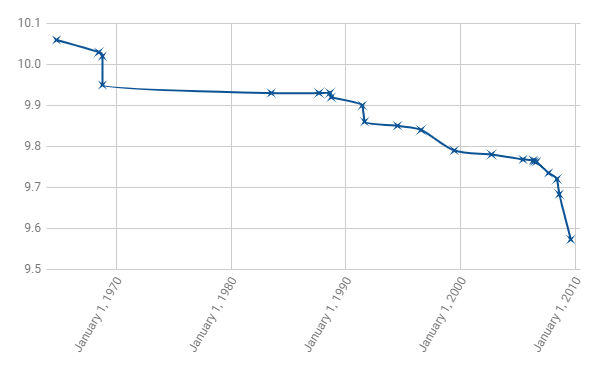 Since we also want to display the changes in progression, a line chart is more suited to this goal. What’s important on the line chart is the data points, not the line that it makes. The reason is that world records are broken at that point in time. It’s not to say that athletes are improving at that level. This is better because it achieves our goal better. 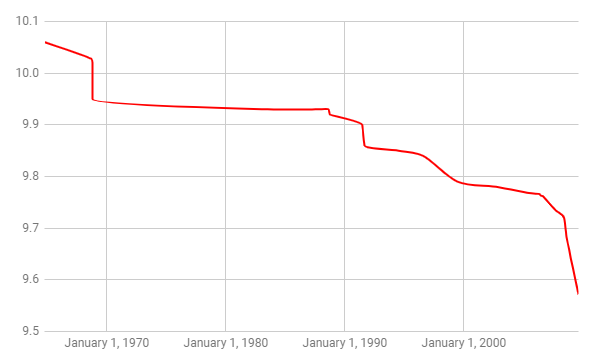 We’re able to see the progression of 100m world records over time, and their rate of change is displayed as well. As you can see, data visualisation can be easy to accomplish using any tool. We took a simple dataset, did a quick chart and improved the chart until it conveyed our goal properly. Whether you’re using Python to do this or whether you’re using Google Sheets, you’re still implementing the same thought process. If you found this interesting and you would like to go further in-depth, take a look at the data visualisation catalogue. Shiraaz Moollatjie is a Technical Architect in his daytime. But he’s that kind of guy you can have a technical discussion with and leave feeling happy with a new eye for opportunities. If you feel inspired and want to contribute with a guest post, then don’t be shy we’re happy to assist. Simply contact us here.